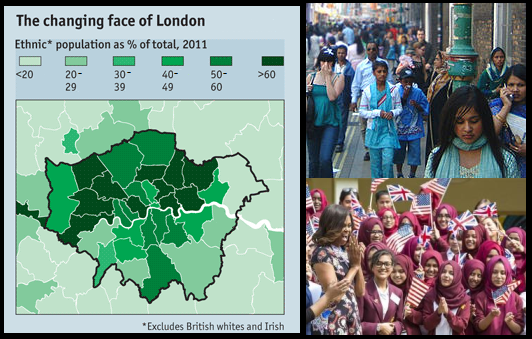 Those Who Can See: So, Where Does Multiculturalism Work? Multiculturalism has, we posit, generally taken one of three forms: The first we'll call the 'Separation' model, the second 'Strong Man', and the third 'Social Dysfunction'. What do they look like on the ground? 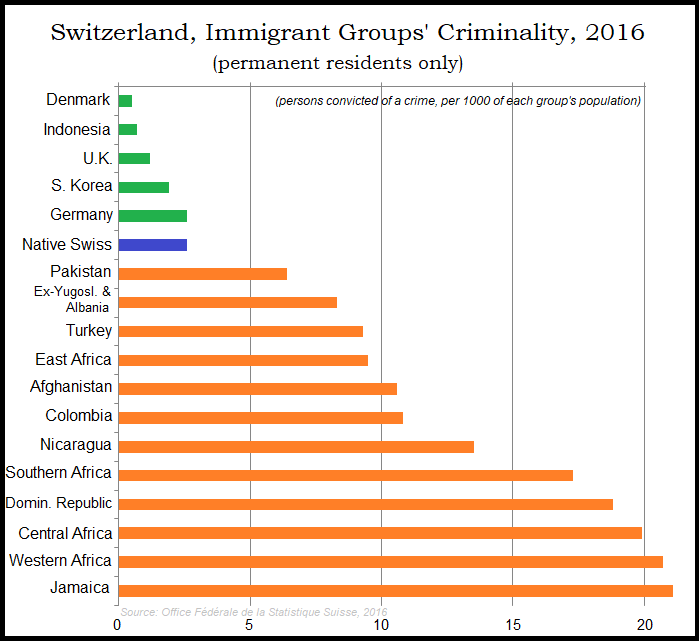 When asked to pinpoint a country where diversity actually works, a favorite choice of the modern progressive is Switzerland. But in order to apply this model to the U.S., we would need to, say, move all white people to the North and have them speak English, all Hispanics to the southwest and have them speak Spanish, and all Blacks to the Southeast and have them speak French. 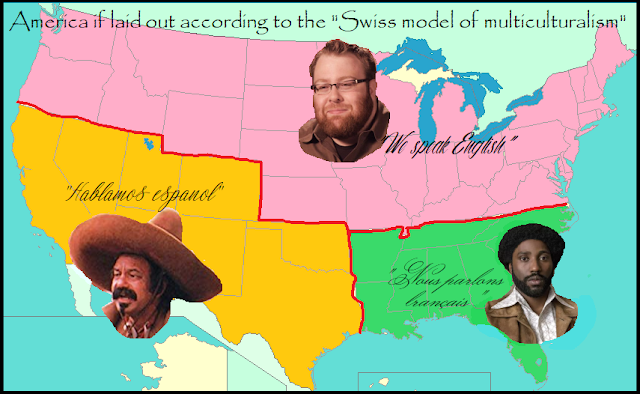 Switzerland is not a nation in the traditional ethnic sense because it is not based on a common language, religion or culture. It is what German speakers call a Willensnation – a country based on the desire of citizens to live together peacefully in diversity. 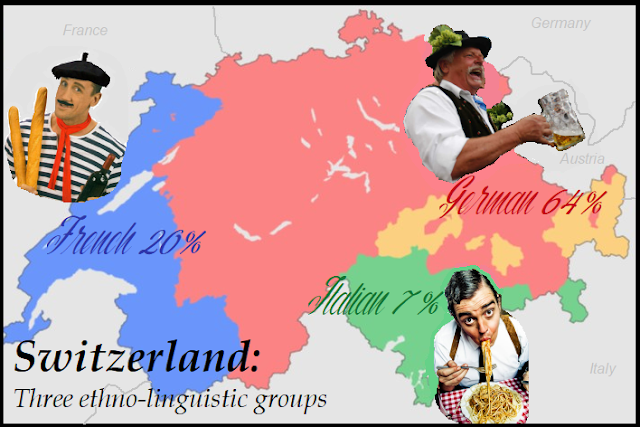 Article 4 of the Federal Constitution states that the national languages are German, French, Italian and Romansh, and confirms that linguistic diversity and the desire to live together are the political and conceptual foundations of the nation. Not so hard to 'live together', of course, with nice high linguistic fences between you. In fact, today's progressive is seemingly completely unaware of how many of his model 'diversitopias' are in fact successful only because they do something of which he would never approve—they don't mix. As we drive, Marie-Claire points out local political landmarks. There is the overcrowded Catholic primary school that has started refusing to take children who speak French at home. There is the state school, which takes all children, as legally it must. The headmistress has been accused by some Flemings of being a "traitress". There is the tennis club that turns away francophones, even if they can speak Dutch. There is the soccer club for youngsters that insists its coaches speak Dutch (although most available coaches aren't even Belgian). There is the restaurant, now closed, once owned by a francophone who insisted on advertising in French. A graffiti campaign drove him out of business. 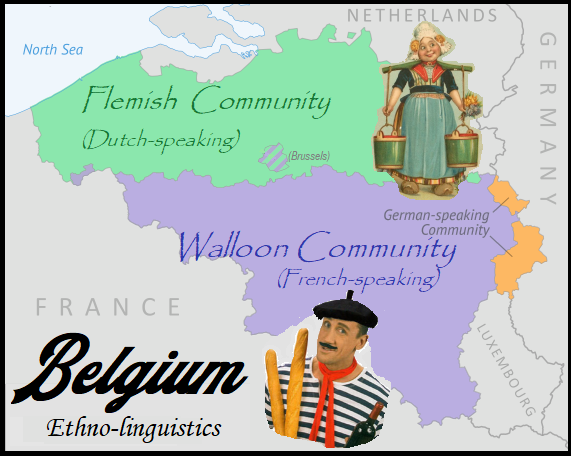 Belgium is going through one of its periodic political crises, or linguistic/cultural nervous breakdowns. Arguably, this one is more serious than any so far. ... 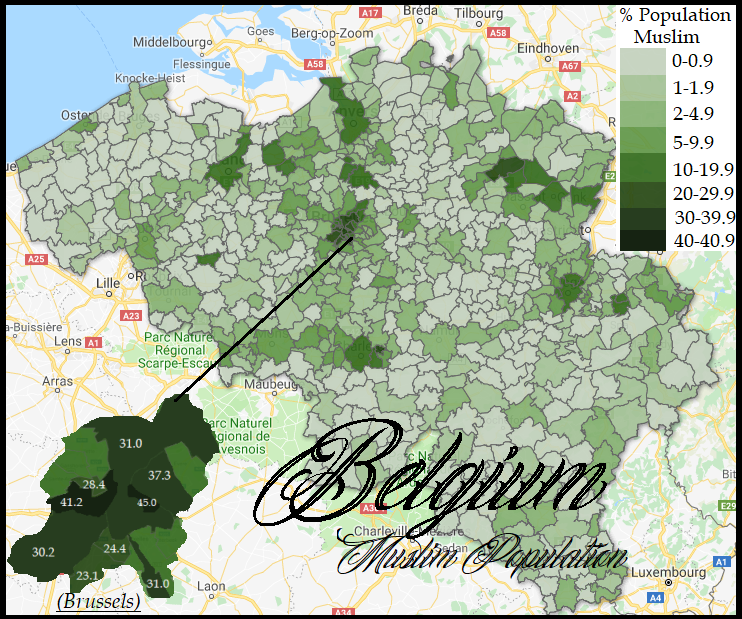 Some people predict that Belgium is doomed to split into two parts (or more) after 177 years of uneasy cohabitation. In one area, it’s a river that divides the territory between Catholics and Protestants, in another it’s a stretch of industrial estate, while a market town may have all of one community on its east side and all of the other on the west side. 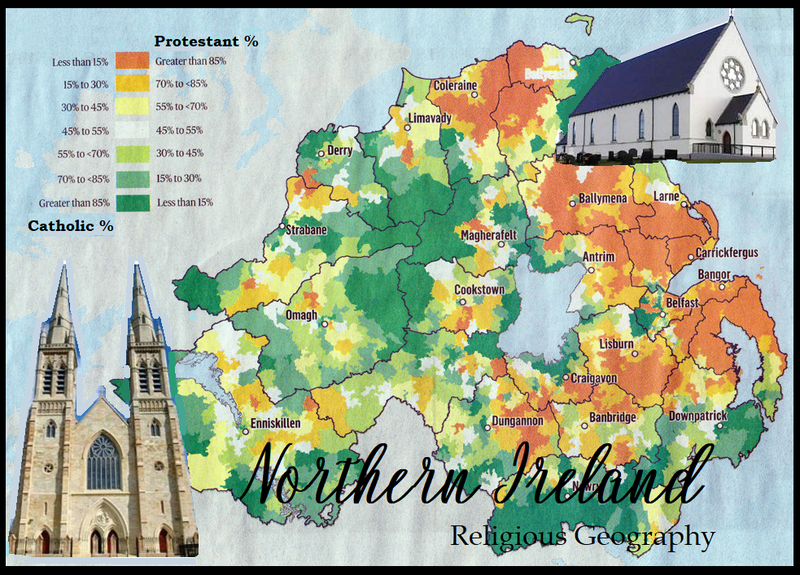 Northern Ireland is still a very deeply divided society. In those areas where an actual physical barrier has had to be erected, the numbers tell the story. 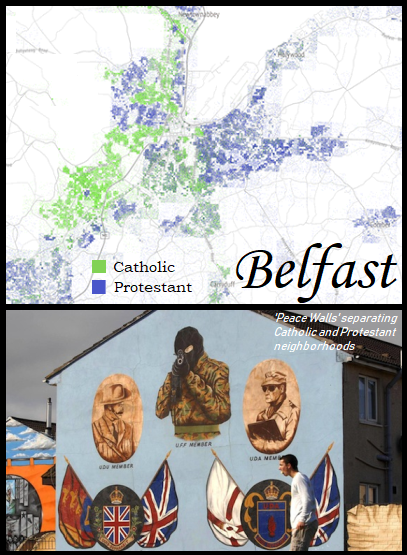 There are now a total of 109 'peace walls' [separators] across Northern Ireland. A new Constitution was introduced in 1994, dividing Ethiopia on ethnic lines into nine regional states and two multiethnic "chartered administrations." Ethnic groups received rights to self-government: the states were given autonomy in legislative, executive and judicial functions, ... 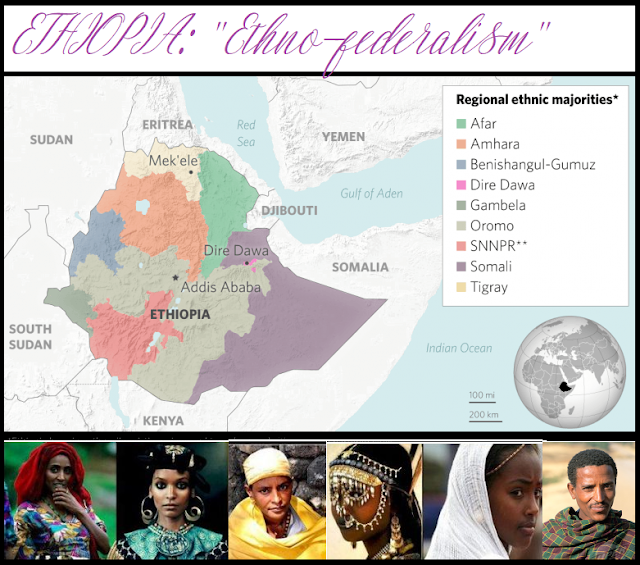 Ethnic groups were granted the "unconditional right" to secession. There are different views on the success of the system. It is accused of promoting separatism and irredentism and may encourage African tribes to aim for their own independent states. Physical separation is also the classic mode by which ethnic Anglos have long dealt with Afros in their countries (U.S. pre-1965 and South Africa pre-1994). The practice of entering into covenants to exclude Negroes from certain areas accomplishes [segregation] in areas of the North. … These exclusion methods have been reinforced by violence in Chicago, Detroit, White Plains, New York, Washington, and Philadelphia. 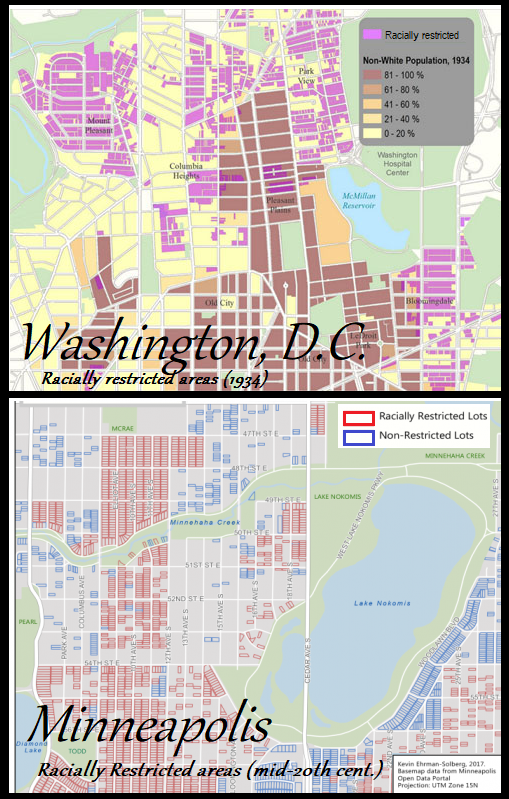 Racial covenants meant legalized segregation: Example of Minneapolis & Washington, D.C. Racial segregation and white supremacy had become central aspects of South African policy long before apartheid began. 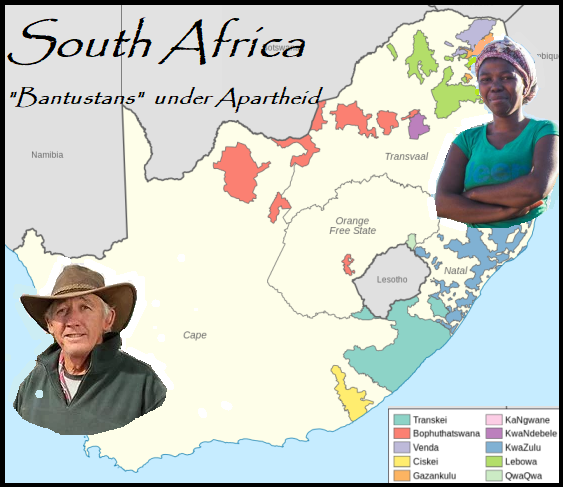 The controversial 1913 Land Act, passed three years after South Africa gained its independence, marked the beginning of territorial segregation. 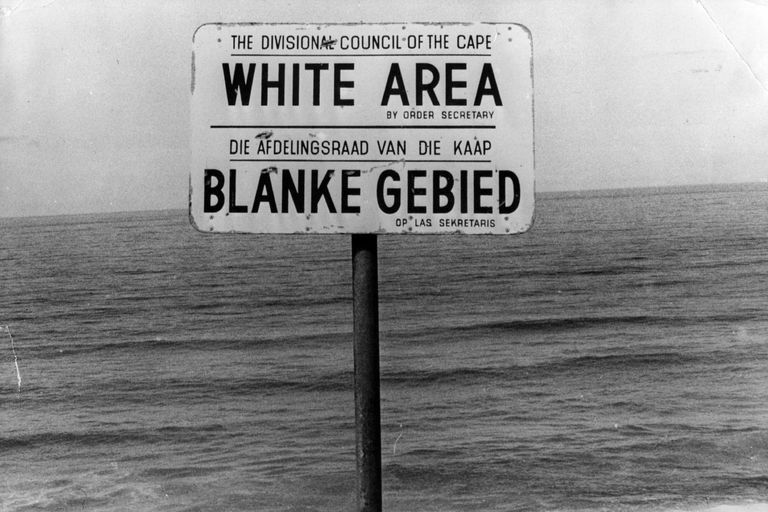 By 1950, the government had banned marriages between whites and people of other races, and prohibited sexual relations between black and white South Africans. A series of Land Acts set aside more than 80% of the country’s land for the white minority, and “pass laws” required non-whites to carry documents authorizing their presence in restricted areas. In order to limit contact between the races, the government established separate public facilities for whites and non-whites, limited the activity of nonwhite labor unions and denied non-white participation in national government. Everywhere in India there is a definite scheme of social precedence amongst the castes, with the Brahmin as the head of the hierarchy. The place due to each community is not easily distinguishable ... Excepting the Brahmin at one end and the admittedly degraded castes like the Holeyas at the other, the members of a large proportion of the intermediate castes think or profess to think that their caste is better than their neighbours' and should be ranked accordingly. Even letting one's shadow fall upon a Brahmin upon the road was forbidden, thus were untouchables required to stay at least 30 paces from their betters at all times. Still, caste separation in India was nothing like the U.S. or South African models. 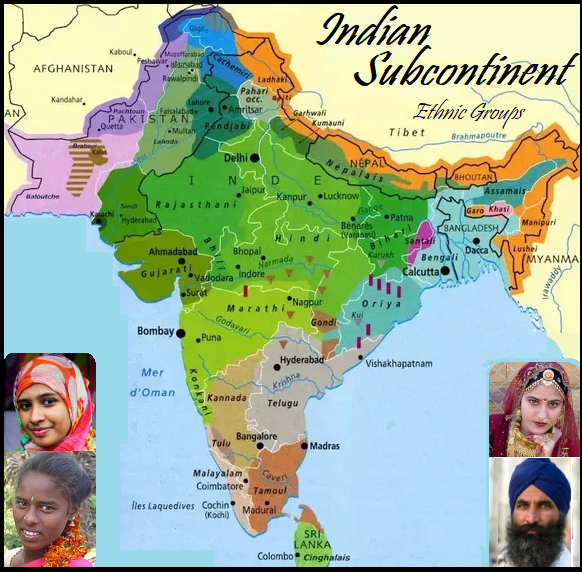 The country is an ancient mosaic of dizzyingly complex ethnic groupings, inter-mingling to varying degrees according to social codes baffling to outsiders. A paper published in 2012 studied urban residential segregation in India’s seven largest metro cities. The authors found that residential segregation by caste was sizably larger than the level of segregation by socio-economic status. This is a remarkable finding, telling us that rich and poor caste cohorts are more likely to live together than rich people of different castes and poor people of different castes. 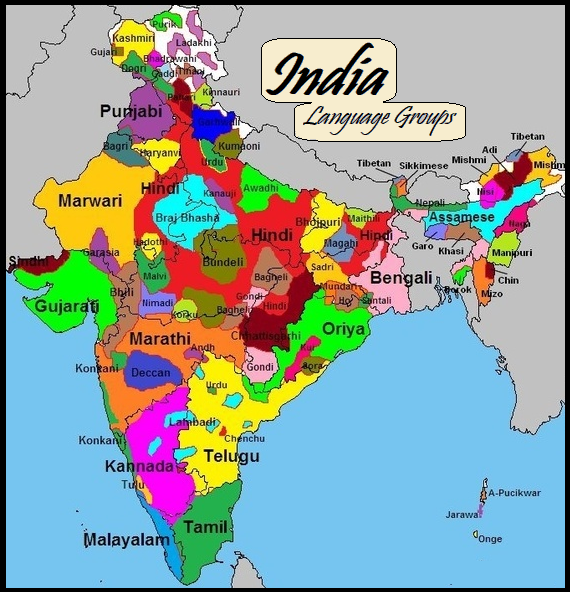 Informal strictures – in defiance of Indian law – about whom to rent or sell to also help to solidify the geographical concentrations of castes. The lynching of Muslims, especially on the pretext of “saving cattle” has apparently been on the rise in recent years. [Cows are sacred to Hindus] ... Three or four persons are usually attacked by a mob of dozens or hundreds. The attackers are often surrounded by a large horde of sympathetic observers, some of whom even record pictures and video of the lynching. None of this is to say, of course, that diverse groups cannot live side by side tranquilly--but it seems clear that where the very disparate meet, physical separation has been a frequent approach to keeping the peace. For the modern progressive, however--for whom each city block must be a perfect mish-mash of ethnies, languages, religions--such a policy is simply unthinkable. Progressives are fond of touting the happiness and harmony of a place like Malaysia, a true multi-ethnic/religious state where bloodshed is avoided and society seems to hum along smoothly. In Malaysia, the government uses legal measures to contain the media from being critical and perform as civil society that encourages public deliberation. ... The government argues that it has to restrict and control the press because Malaysia as a multicultural, multiracial and multireligious country has many sensitive considerations before press freedom could be implemented. Freedom of the press and an open public sphere are almost non-existent in Malaysia, where the government has full power to control the media and restrict the alternative or opposition media. ... the issue of racial harmony is a determining factor in the policies that hinge media laws. Malaysia is, for the moment, keeping a tight lid on its festering inter-group resentments. But as we have seen depressingly often in this type of society, once the 'strong man' disappears, the lid comes flying off. The Serbs are Orthodox Christians whose religion was crucial in keeping alive their national identity during almost four centuries of Ottoman Turkish occupation. The Croats spent centuries under the Austro-Hungarian empire and their Catholicism and Central European outlook were equally important in shaping their identity. In Bosnia, three nationalities lived before the latest conflict in inextricably mixed communities: the Muslims with 44% of the population, the Serbs with 32% and the Croats with 17%. The communities lived in relative harmony. 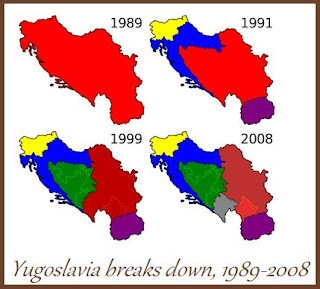 After the European Community demanded a referendum on independence in Bosnia in February, the vote split on ethnic lines. Muslims and Croats supported independence but the Serbs boycotted the vote and, again with the army's support, began a fight for territory. … And the rest is balkanized history. The Middle East, whose borders were often drawn thoughtlessly by Europeans, has had this problem in spades. 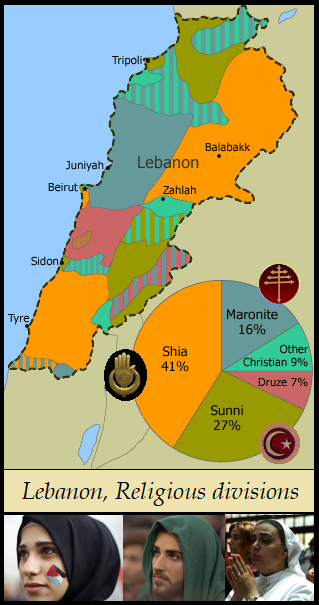 Since its independence in 1943, Lebanon has been governed by a confessional political system... Lebanon was on the brink of civil war in 1958 when the Maronite president asked for help from the United States. The landing of the U.S. marines in Beirut quelled the violence. ...Fighting broke out between Palestinian guerrillas and the Phalange in April 1975, and several months later Lebanon was engulfed in full-scale civil war. In 1991, the Lebanese Civil War came to an end. A principal reason for the end of active hostilities was the exhaustion brought on by the fifteen years of warfare. 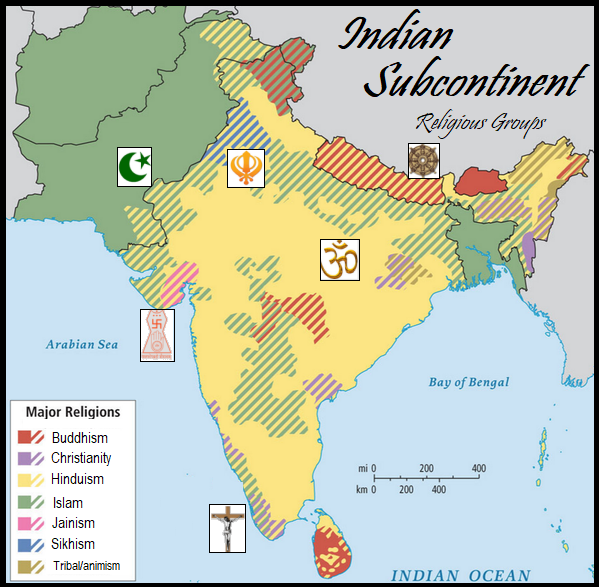 None of the groups was able to establish dominance over others, and sectarian divisions continued as before. Syria emerged as the hegemonic power [and occupation army] in Lebanon, with U.S. endorsement, and achieved veto power over all important political decisions. Syria did not completely withdraw from Lebanon until 2005. Another notable example is Iraq, where after the U.S. removal of strong man Saddam Hussein in 2003, the Sunni, Shiite, and Kurd factions went at each other's throats . But how did did such disparate groups ever become a 'country' in the first place? When the British drew Iraq’s borders, the people within those false borders were of different ethnic groups, religious beliefs, and languages, yet they were all expected to adopt a new identity – Iraqi – and function as a modern nationalistic European nation. 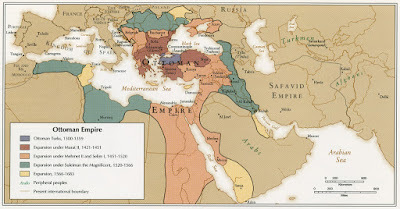 In the Ottoman period, the land between the Tigris and the Euphrates was organized into three different provinces, centered around the cities of Mosul, Baghdad, and Basra. 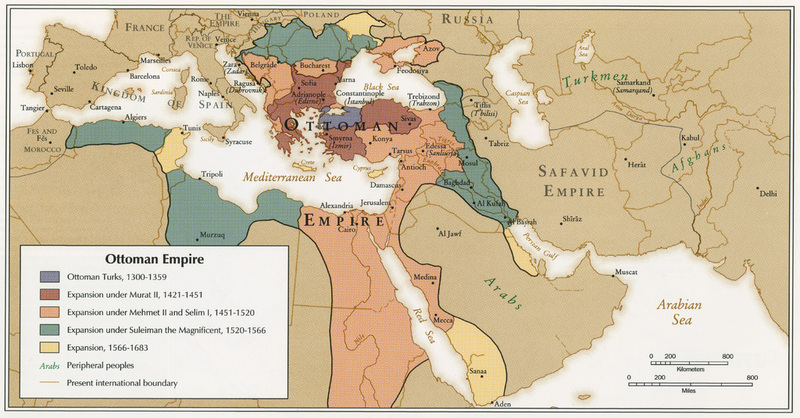 “Iraq” as a political entity did not exist in the Ottoman period, or in any time prior to that. 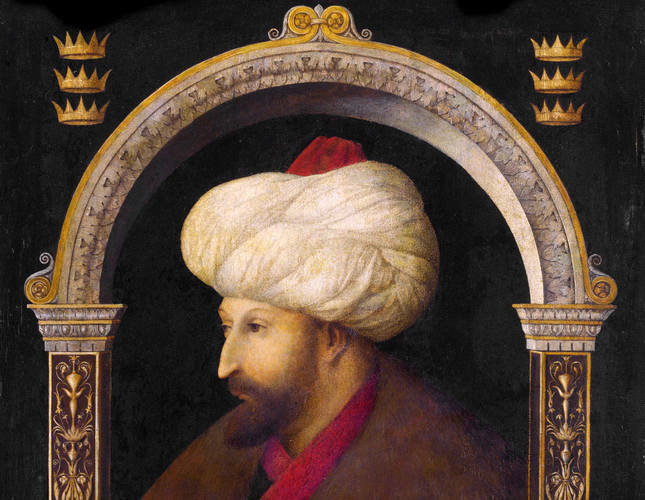 Since the Ottoman Empire was a multi-ethnic state by nature, there was no demand for all Ottoman citizens to assume one identity. Kurds, Arabs, Turks, Armenians, and others were all expected to keep their own personal identities so long as they were loyal to the Ottoman government. 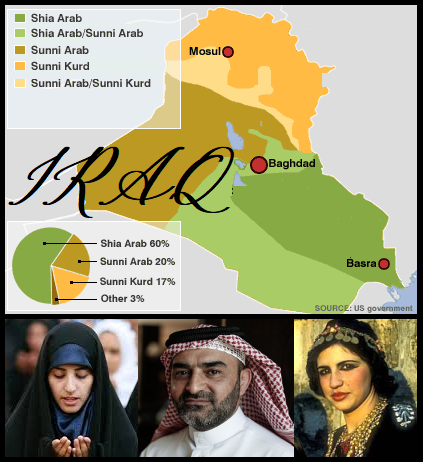 Thus the people of what became Iraq had no concept of Iraqi identity as a unifying factor among themselves. And herein lies the historical challenge in ruling Libya: the split between ancient Tripolitania and Cyrenaica. The Cyrenaica region has a long and rich history, and has long been at odds with the rival power base of Tripolitania, founded by the Phoenicians. It was not until [Tripolitanian] Col. Moammar Gadhafi's 1969 military coup that overthrew the monarchy that the Tripolitanians could truly claim dominance over the fledgling Libyan state. But in a country divided by myriad dialects, tribes and ancient histories, Tripolitanian power could only be held through a complex alliance of tribes, the army's loyalty and an iron fist. 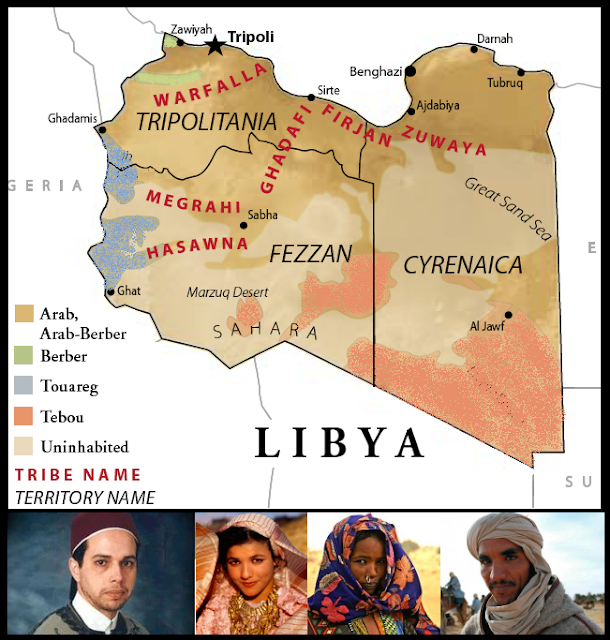 Libya is today considered to be a failed state, and seems destined, like Sudan, to eventually split into two countries. Also a casualty of the Arab Spring, Syria's multicultural cauldron, long held in check by strong men Hafez and Bashar al-Assad, suddenly exploded in January 2011. 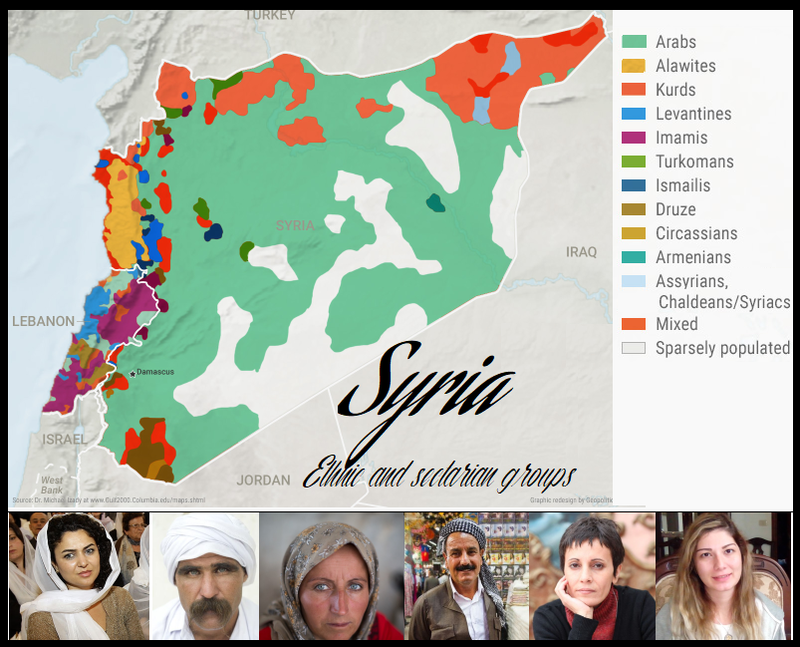 Sunnis, Shiites, Alawites, Druze, Christians, Kurds, Yezidis… This melting pot turned out to be yet another ticking time bomb. Religious minorities who had been protected under Assad have been butchered and ethnically cleansed under the Islamic State. "I look around me and see only a bundle of contradictions.... Men whom nothing united, sharing no principles . . . ; some were illiterate, others distinguished men of letters; some spoke only Kurdish or Armenian, others only Turkish; some wore a tarbush, others a kafiyeh...."
Sub-Saharan Africa, again due to borders shoddily drawn by Europeans, is made up of countries which are a veritable ethnic mish-mash—a recipe, in leftists' eyes, for paradise. In reality, nations with dozens or hundreds of low-trust ethnies are only kept in check by the existence of a strong man. This is the classic set-up across the African continent, though with one particularity: The 'strong man' is often not able to keep inter-group violence in check--or even encourages it. Rather than two separate tribes, Hutu and Tutsi are different ethnic groups of the same society. The Tutsi migrated from the Horn of Africa in the area of Ethiopia to the Lake Victoria region of Central Africa many centuries ago, and came to subjugate the Hutu who lived there. Since the 17th century, the two ethnic groups evolved as a single society, sharing a common language, Kinyarwanda, but not power. 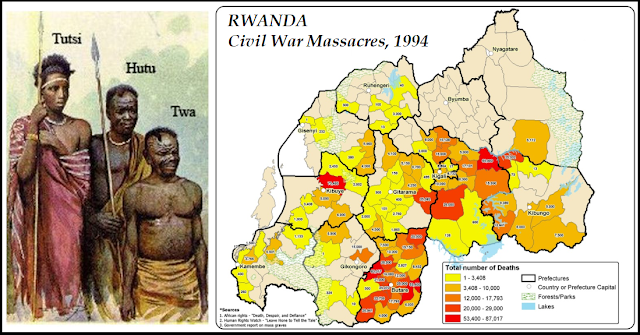 While nobles, military chiefs and cattle herders were Tutsi, Hutu were predominantly subsistence farmers. The 1994 presidential assassination, as we know, caused this uneasy peace between Tutsis and Hutus to go up in smoke--provoking a degree of carnage which shocked the world. Sierra Leone’s history of freed slaves and Freetown is a consequential component to understanding a root cause of the civil war. Although established with good intentions, the division between the freed slave population of Freetown and the native Sierra Leonean population of the rest of the country created political, economic, and social inequality that induced instability over time. Like most other sub-Saharan states Sierra Leone is marked by an ethnic heterogeneity that has in large part provided the terms in which competition for scarce resources — whether development funds or political power and opportunities in government — has taken place. Since its independence in 1956, Sudan has been in intermittent civil war. Conflict between 1955-1976 and 1983-2005 between the colonially modernised Arab north and the underdeveloped Christian and Animist south brought widespread civilian suffering. This was compounded by a devastating famine in 1988. In 2011, South Sudan gained independence from Sudan, marking an end to Africa's longest-running civil war. But two years later, violent conflict broke out after political disagreement between President Salva Kiir and former Vice President Riek Machar and the fighting continues to this day. The civil war has forced millions to flee their homes – an estimated 1.9 million are internally displaced and over two million more have fled to neighbouring countries. 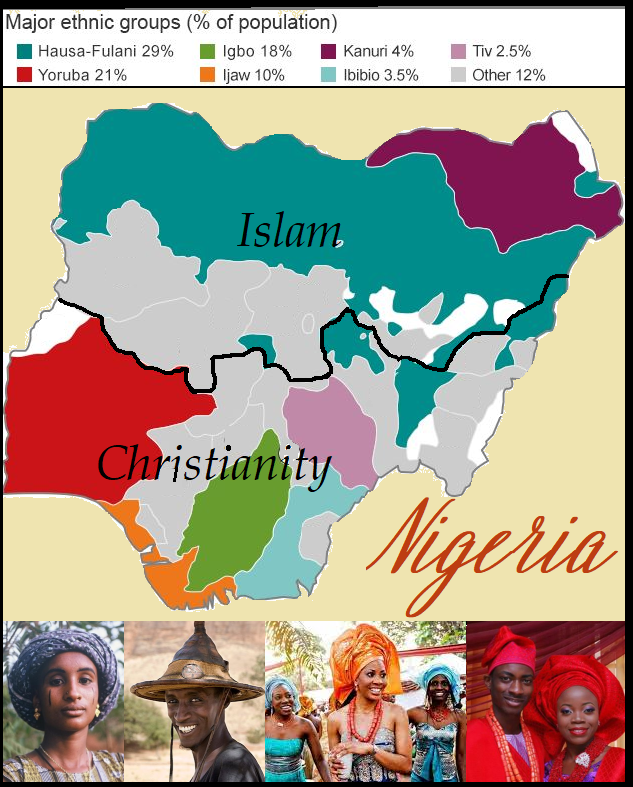 Modern Nigeria emerged through the merging of two British colonial territories in 1914. The amalgamation was an act of colonial convenience. It occurred mainly because British colonizers desired a contiguous colonial territory stretching from the arid Sahel to the Atlantic Coast. The amalgamation made little sense otherwise and has often been invoked by Nigerians as the foundation of the rancorous relationship between the two regions of Nigeria. 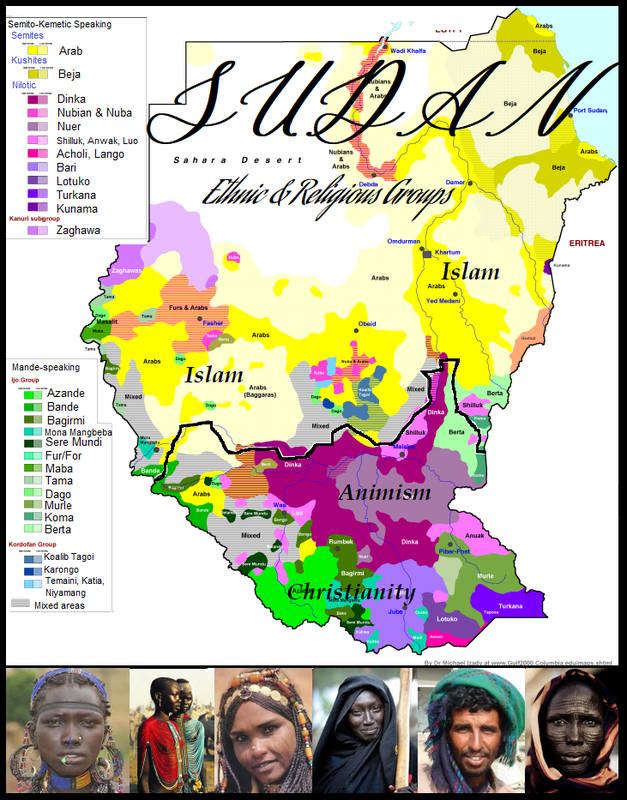 Northern Nigeria, now broken into several states and three geopolitical blocs, is largely Muslim. The South, an ethnically diverse region containing many states and three geopolitical units, is largely Christian. To add to this cauldron, each of the two regions contains ethnic and religious minorities who harbor grievances against ethnic and religious majorities they see as hegemonic oppressors. These grievances are sometimes expressed through bitter political complaints, sectarian crises stoked by political elites and incendiary media rhetoric, and violent insurgencies. 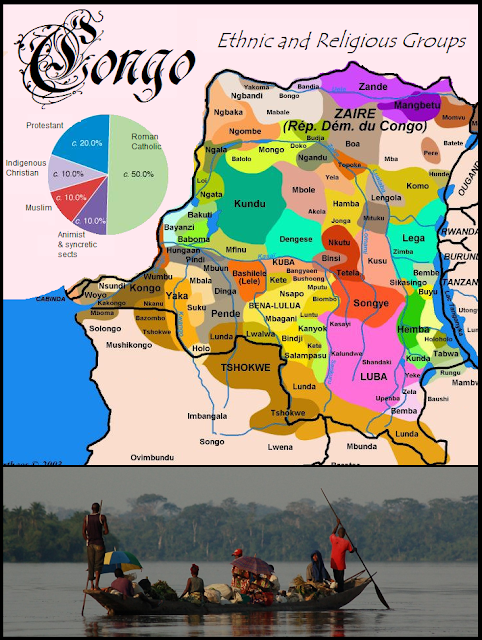 The Democratic Republic of Congo is slowly recovering from a conflict known as Africa's first world war, which led to the loss of some five million lives between 1994 and 2003. ... The natural riches have attracted rapacious adventurers, unscrupulous corporations, vicious warlords and corrupt governments, and divided the population between competing ethnic groups. The 1994 genocide in neighbouring Rwanda hastened Mobutu's downfall and helped plunge DR Congo into the deadliest conflict in African history. Progressives also sometimes lean on history, pointing out the multiculturalist tolerance of old empires, such as the Roman or Ottoman or Habsburg, or the Arab caliphates such as the Almoravids in Spain. But such comparisons quickly show their anachronistic limits. Multi-ethnic these empires may well have been, but democratic they most certainly were not. If democracy existed (as at Rome), it was limited to a tiny handful of elites. These were all slave-owning societies to boot. Empires are by their very nature diverse, but they still very much fall under the 'Strong Man' model. For long periods of history the State of Empire which dominated the Middle East was supra-national, based on loyalty to the person of the ruler; different national groups (and at times different religious groups also) found a sort of equality in a like subjection to him. Then again, the activities of the State were very limited in extent. They were mainly confined to the towns, coasts, river-valleys and more accessible plains; communities which did not wish to be subjects of a State could withdraw to less accessible regions and live there undisturbed. … There were vast spheres of social and individual life with which the Government did not try to interfere, and which could therefore be regulated by the customs of one's nation or the precepts of one's religion. 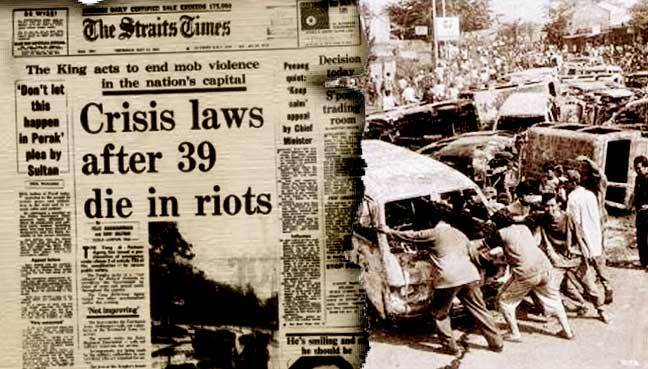 It was even in the Government's interest to have a large number of separate communities to play with; it was a partial guarantee against revolt, for if one community was restless and disaffected another could be turned against it. Historical empires, then, cannot be looked to as a model of what today's progressive considers 'multiculturalism,' as they tended to in practice involve some combination of separation, strong man, and simple benign neglect. To run smoothly, then, we have seen that multiculturalism typically needs 1) the groups in question to be physically separated, or 2) a strong man to keep the lid on inter-group tensions (or both). In the U.S., the apartheid system which reigned de jure in the South and de facto in the North came to an end in the 1960s. Suddenly, 'true' multiculturalism came about—all groups free to live, work, go to school, etc., where they liked. The ensuing rise in social dysfunction has been well documented. 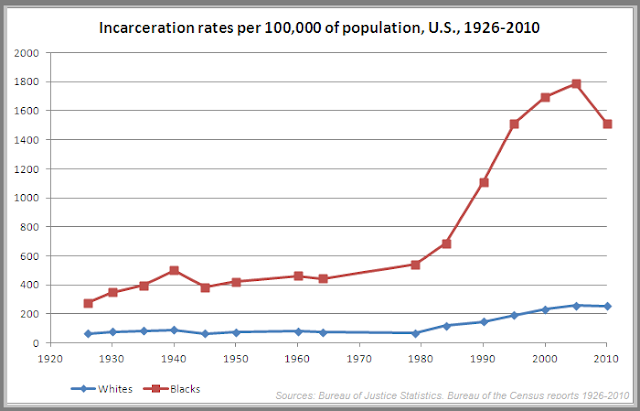 Data sources: Bureau of Justice Statistics and Bureau of the Census reports 1926-1986, 1979, 1984, 1990, 1995, 2000, 2005,2010. Brazil had a somewhat similar trajectory, with a large African slave-descended population who have now become a part of larger society. 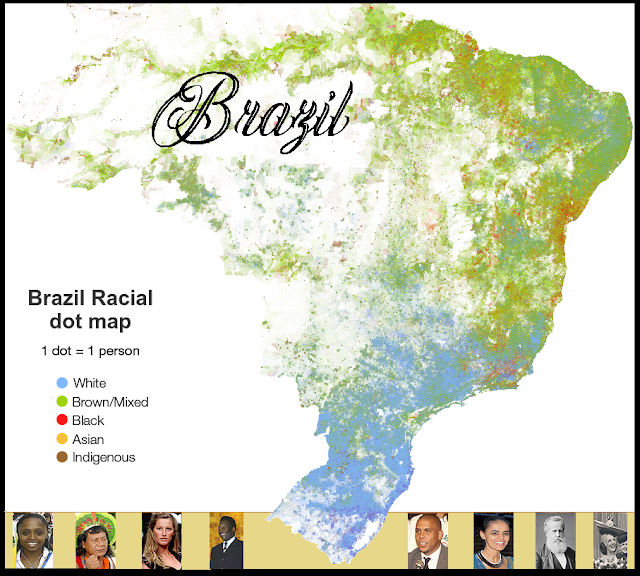 Brazil is multicultural in a different way, with a wide mix of European, Native Indian, and African blood in its population. It too suffers from large-scale crime, poverty, and dysfunction. A new series of maps and infographics show the stark racial segregation of the city of Rio de Janeiro. 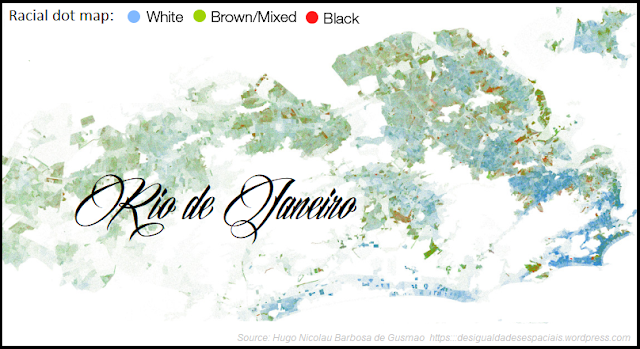 … In his post on the South Zone maps, Barbosa wrote: “We can see from the maps that blacks and browns are concentrated in small areas which are mostly favelas while the distribution of whites is uniform and occupies the whole territory. Brazil has broken its own record for the number of murders in a single year after the South American country saw 63,880 people slain in 2017, according to new report. .. Brazil has long been the world leader in overall homicides, and its murder rate is also one of the highest. Security groups are raising the alarm about the continued rise in killings – there were 61,597 homicides in 2016 after several years below 60,000. In Western Europe, large-scale diversity is quite a recent phenomenon. 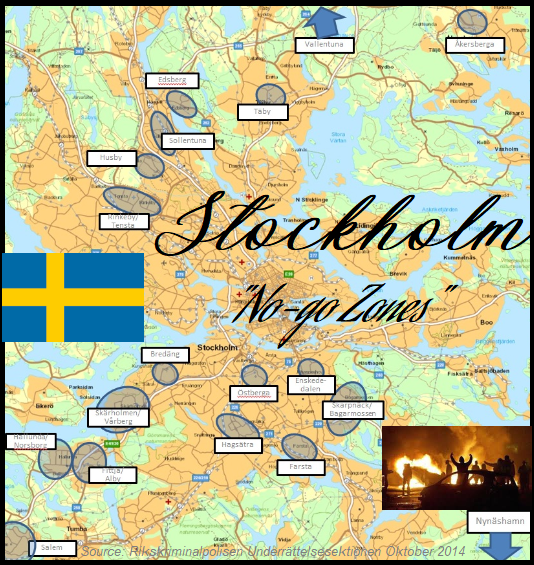 Post WWII, many of these countries began to invite in large numbers of third-world foreigners in order to do blue-collar work (France, Germany), to house refugees (Sweden), or later as a political tactic against conservatives (U.K.). As we have documented at length (here, here, here, and here), this new multiculturalism has changed once safe, clean, comfortable countries into landscapes of gross social dysfunction. Germany started its 'guest worker' program after the war, mainly from Turkey. Originally slated to go back, a great many decided to make Germany home. 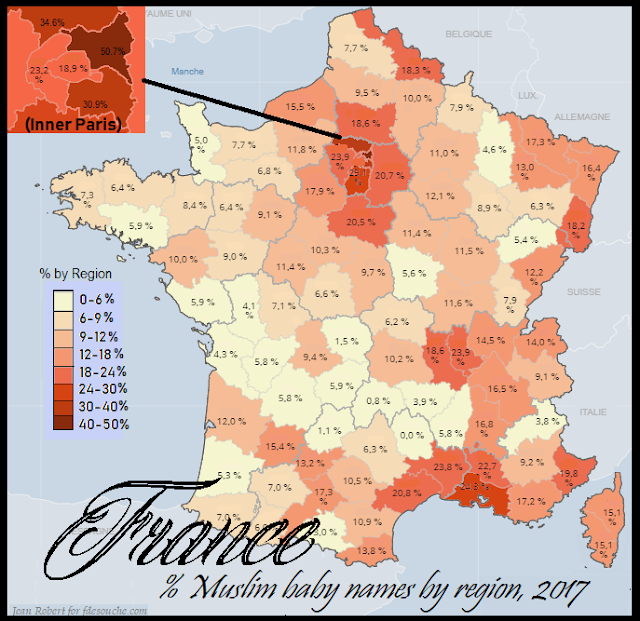 France, home to the largest Muslim population in Europe, has also lived to regret her 'guest worker' program (mainly from N. Africa), which ultimately birthed a millions-strong hostile foreign colony on her own soil. The Swedish government used to regularly collect and publish data on immigrants and crime. However, the 2003 data caused them so much embarrassment that they have not published any since. What's the data that provoked this clampdown? We present these crime statistics only as the tip of a large iceberg. 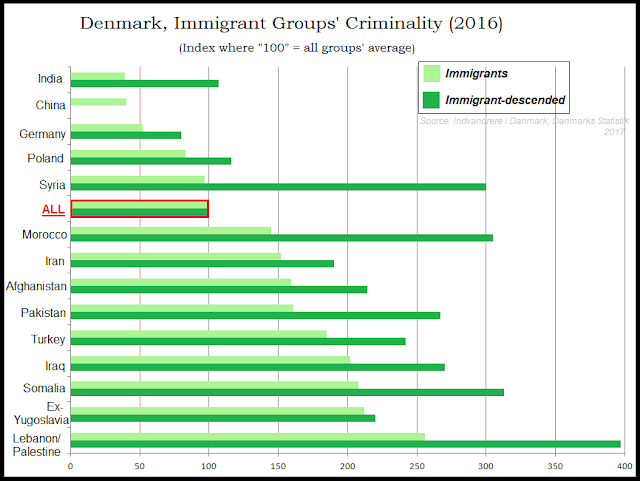 As we have seen before (here, here, and here), the social dysfunction brought about by unchecked multiculturalism among disparate groups far exceeds simple crime stats. Even with low-crime 'model minorities,' we often see alien values imposed, voting patterns changing, trust radically lowered, and the basic shared bonds of society crumbling. The data gathered here is not meant to show that different groups cannot live side-by-side without slaughtering each other; such a claim would be absurd and ahistorical. What it suggests, though, is that we are somehow wired to respond positively to those like us. Harvard's Robert Putnam conducted the largest-ever study on urban diversity (then sat on his results for ten years out of sheer embarassment). What did he find? [Putnam] has found that the greater the diversity in a community, the fewer people vote and the less they volunteer, the less they give to charity and work on community projects. In the most diverse communities, neighbors trust one another about half as much as they do in the most homogenous settings. 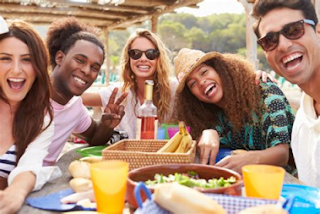 The study, the largest ever on civic engagement in America, found that virtually all measures of civic health are lower in more diverse settings. Not all ethnically homogeneous countries have embraced this new gospel, however. Japan, South Korea, Israel, Poland, Hungary are just a few who have opted to avoid the stresses and strains they see in the newly diverse West. 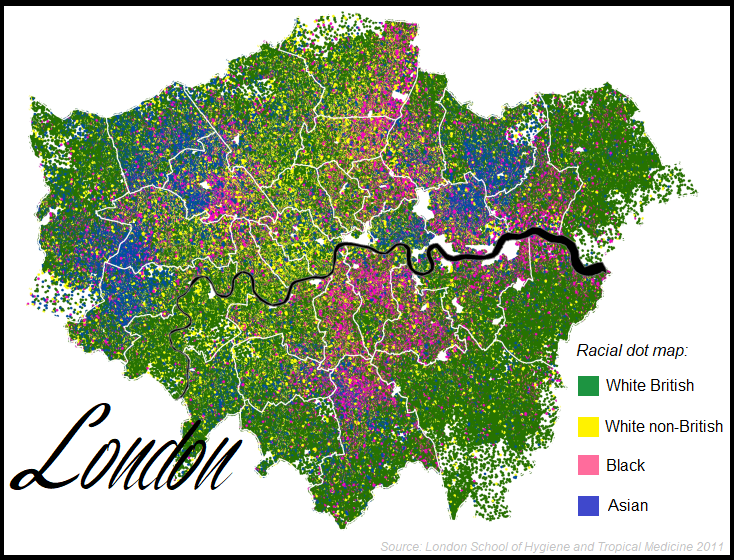 So having posed the question, 'Where does multiculturalism work? ', we are left without a clear answer. The data overwhelmingly points to it being more bane than boon. So what tack are Western policy-makers expected to take? 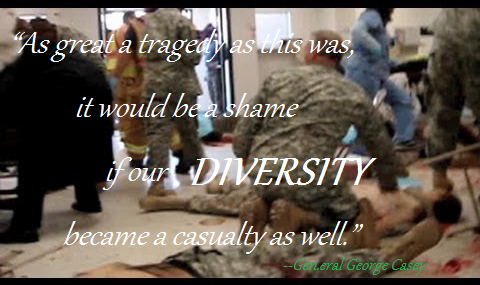 Shall we continue to make daily sacrifices on the altar of Diversity? Or, like communism, will the great and the good eventually admit that it was just another giant social experiment which has ended in failure? I’ve made this country by country argument that diversity + proximity = coflict to progressives. Never have I received a rational counter argument. This is proably our strongest case. 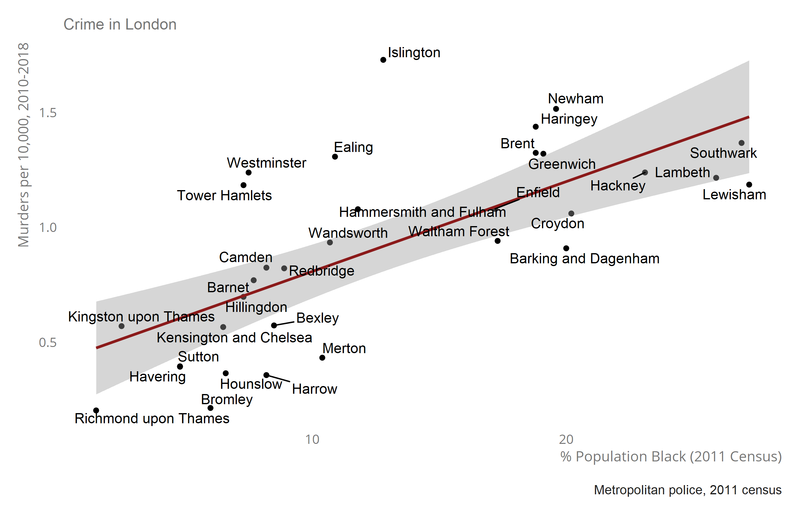 It's frustrating that the UK doesn't publish decent statistics aggregated by race, but the Metropolitan police does publish crime rates by London Borough. Combining these with census data, a shocking pattern emerges. Can you include Canada? Specifically Toronto which is popular counter-example used. Great post. Multicultism does not work anywhere. Those that secretly run this program in the West are not named. I do not mean the elected politicians, but (((those))) that instruct them, bribe them and blackmail them and write Badthink (hate) laws which the politicians eagerly implement. Tony Blair is a good example. He did what he was told, destroyed the UK with invading non whites, then he got a huge salary at Goldman Sachs as an oil dealer in countries like Iraq - which he invaded to "do good" and spread "freedom" and "democracy". This was a legal bribe paid after services rendered. Outstanding! Thank you so much for this, I'm going to add it to the post. Canada is a particular case. 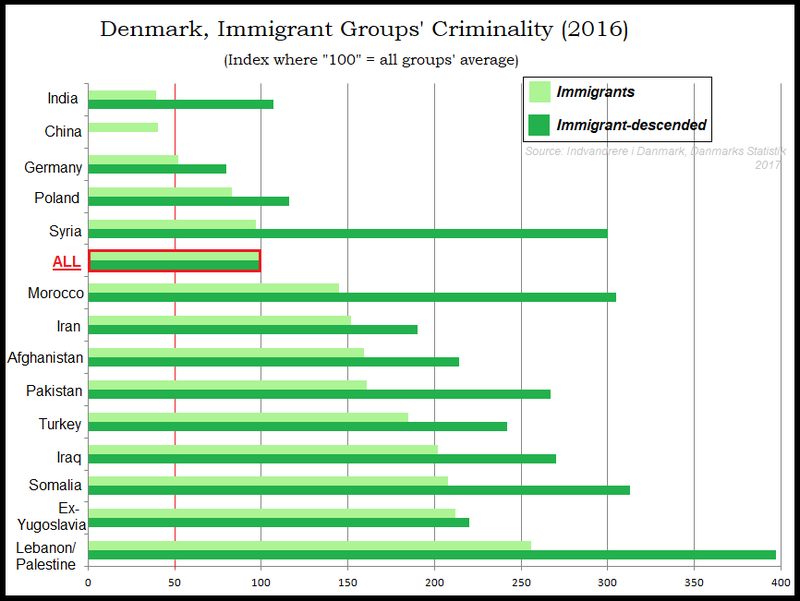 They have a strongly 'merit-based' immigration system, so from what I've seen, studies actually say that globally immigration lowers crime there, not raises it (study). Could you please turn this into a pdf for download? A friend organized his block party one year billing it as a multicultural event. The only people who showed up were white liberals. If there's one thing history has taught us again and again, it is that that particular group tends to overplay its hand at just the wrong moment, causing spectacular overreach followed by a fearsome counter-reaction. The Occidental Observer has probably documented this better than anyone. I see no reason why this depressing and predictable pattern won't continue, especially considering that Europe has spent the last forty years importing a virtual occupying army whose hatred for the Tribe dwarves that of any Euro ethnic group. I say this with no joy, but I maintain that our children will see things in Europe no one has seen since the era of the second World War. Reaction begets counter-reaction; no one escapes history's iron laws. You can do it yourself, it's very easy. Simply go to the top of the post, left-click, drag your mouse all the way down to the bottom of the post, right-click, then hit "copy." Open a blank Word document, in that Word document right click and hit "paste." Now you've got the whole post in a Word doc. Now save the Word doc, but instead of "Save", hit "Save as". It will open a little list, and on the list hit "PDF." Now you should have a saved PDF copy of the post. Hope that helps! We don't want multiculturalism to 'work'. That is the problem-- that it is being forced and it is unwanted. 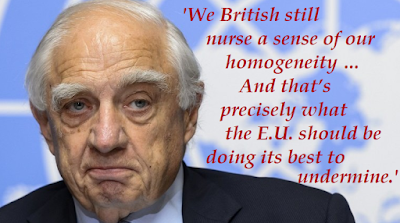 There is no 'assimilation'; there is only miscegenation. And that is death: that is the crime. 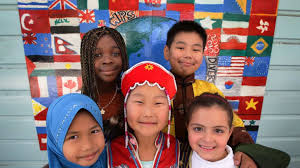 Ethno-nationalism is about preserving one's heritage for the future. 2. White people have the RIGHT to exist. 3. White people have the RIGHT to exist AS White people in White Communities and Nations. Another tour-de-force, MG. You might be the best long-form blogger on the planet. Until fairly recently Toronto had one of the lowest crime rates in Canada, lower than many other much smaller and much whiter cities. Incredible but true. Needless to say it was easily the safest big city in North America. But those days are over, because eventually there's no escape from the consequences of diversity. Now Toronto has a murder rate higher than New York City, and is on pace to set a new record for murders this year. 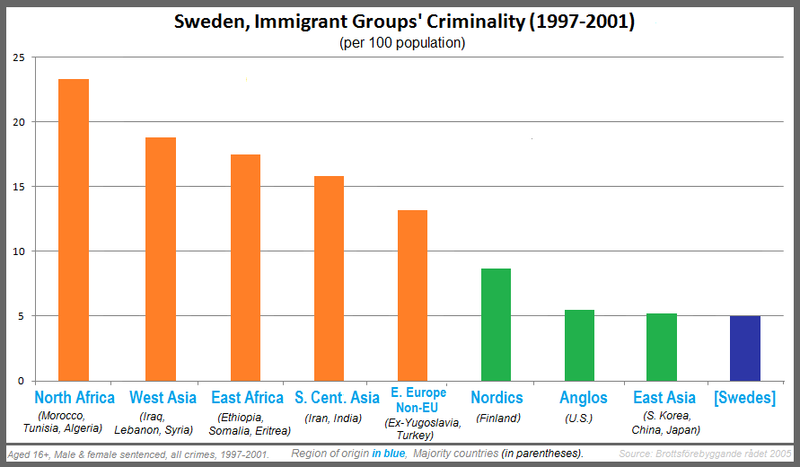 It's true that immigrants in Canada taken as a whole commit fewer crimes per capita than native-born Canadians do, but that's because a) aboriginals commit crimes all out of proportion to their numbers, possibly higher than blacks do in the US, and b) most, but by no means all, immigrants to Canada are low-crime Asians. What's led to the crime spike in Toronto are the growth of two specific immigrant communities: Jamaicans and Somalis. If these two groups were taken out of the mix the murder rate would fall by 50% or more. What we're seeing here are the effects of dysgenic population replacement in real time. But Canadians seem pretty complacent about this. There's a mayoral election in Toronto coming up in a few days. Alt-right journalist Faith Goldy is running on a strong law-and-order platform, but she's been banned from all the debates, and even banned from advertising over the airwaves, totally illegally I might add. I'm glad you included Brazil in your international survey, MG. Very topical with the second round of the presidential election only days away. Brazilian patriot and /ourguy/ Jair Bolsonaro is leading in the most recent poll with 59%. Considering that he's been relentlessly attacked as a racist and fascist, etc., it's pretty amazing that he has such a big lead in a nonwhite-majority country. Not surprisingly, his strongest support comes from the whitest part of the country, basically from Rio southward. There's an interesting split in the rest of Brazil, with the black and mulatto-dominated Northeast leaning towards his socialist opponent; and the mestizo and Indian-dominated North and Centre-West, where Bolso should win handily. He's also much stronger in the big cities than rural areas throughout the country, winning 24 of the 27 state capitals. This could be because there are more whites and upscale nonwhites in the cities than in the countryside, but I'm not sure. And this has happened despite a built-in anti-white bias in the Congress. Every state is guaranteed a minimum of 8 seats. This applies to 11 small states, all majority nonwhite, which together have only 11% of the population but 18% of the seats. At the other end of the spectrum no state can have more than 70 seats. 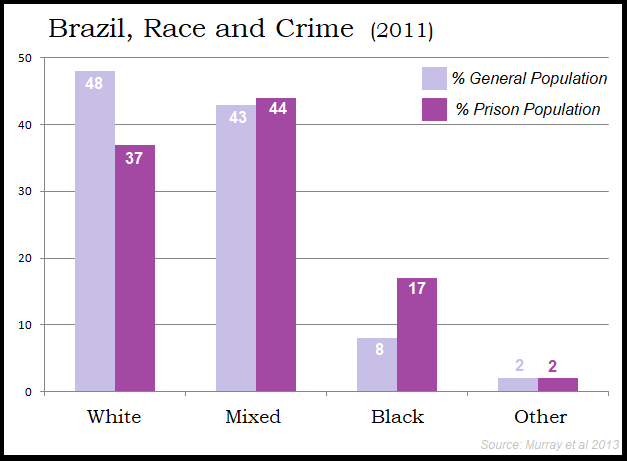 This only applies to majority white Sao Paulo, which has 22% of the population but less than 14% of the seats. So the white population of Brazil right now is as based as any group of white people anywhere. And many of the brown people (if not the blacks) are coming along for the ride. Bolsonaro's impending victory may turn out to be even more consequential than Trump's, to whom he's often compared. Trump's victory has been largely dismissed by the goodwhites of the US and Europe as the last gasp of the shrinking and dying white majority. But it will be much more difficult to dismiss Bolsonaro like this, considering that he's supported by tens of millions of brown people. Will the goodwhites condemn Bolso's brown supporters as racists, like they do with Trump voters? Good luck with that. Bolsonaro's victory will reverberate throughout the world, proving that an unrepentant rightwinger and unapologetic white man can win big even among nonwhites. This can only help Le Pen, Wilders and every other patriotic group in the West. It will put the goodwhites on the backfoot, and possibly convince millions of fence-sitters that it's OK to vote for a so-called "racist," and that despite what the goodwhites and their (((string-pullers))) say, it's OK to be white. Great post, as usual. 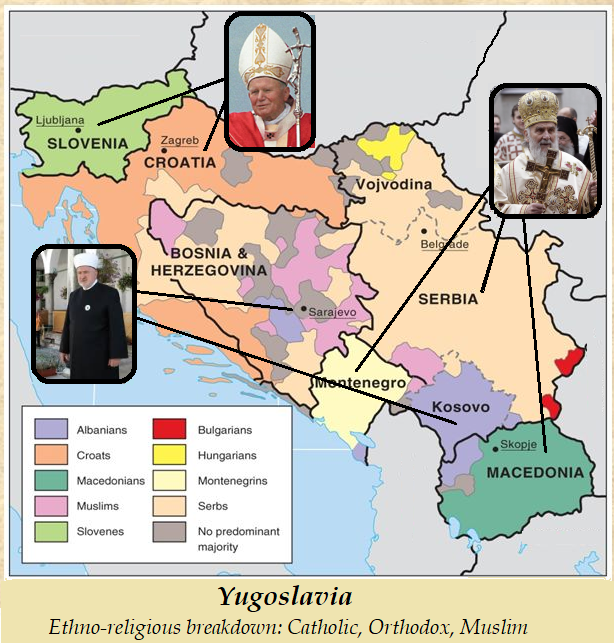 You may recall from our previous conversations that I am about 40/60 Serb/Anglo and your analysis is spot on. I have a deep outgroup altruism that is tempered by my Serb clannishness. I like to think what I have landed on is a rational "middle" between them. I have been telling people for years that what kept the former Yugoslavia together was Tito, or as you put it -- the strong man. The wheels fell off the bus almost immediately after his death. What's led to the crime spike in Toronto are the growth of two specific immigrant communities: Jamaicans and Somalis. 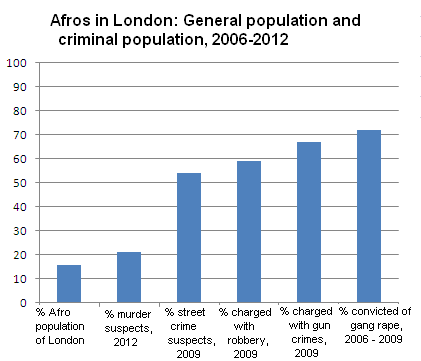 I didn't realize, but yes it's true that Afro immigrants seem to bring higher street crime with them to many parts of the world. 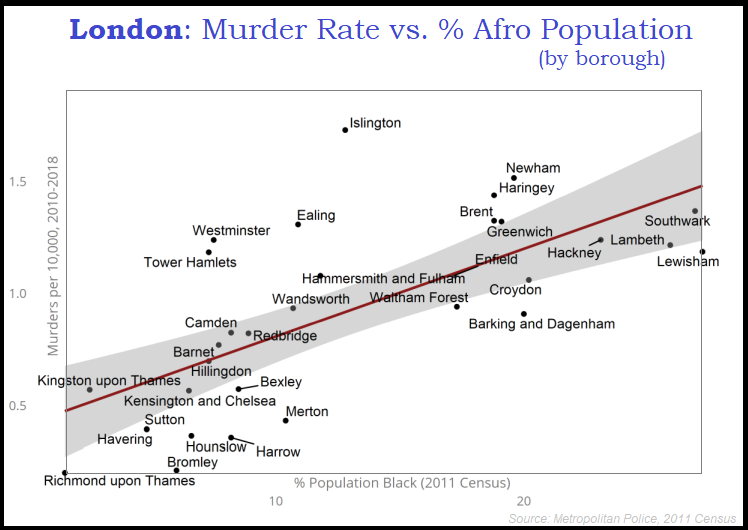 I know the U.K. has some very high-achieving West African immigrant groups, but they seem to be the exception, not the rule. I hadn't heard about this, but the increasing censorship of right-leaning voices is troubling and really seems to be coming to a head lately. Brazilian patriot and /ourguy/ Jair Bolsonaro is leading in the most recent poll with 59%. I have been following this and I've been surprised by his widespread support, a real sea change for Brazil. 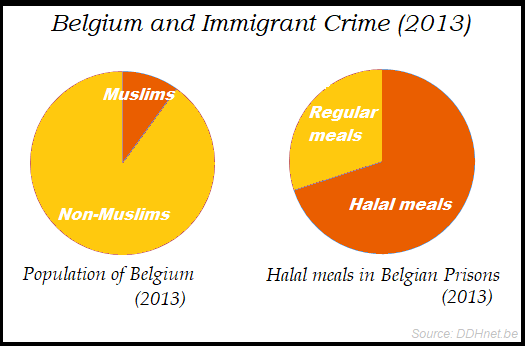 This can only help Le Pen, Wilders and every other patriotic group in the West. Yes, I think people have been expecting ethno-nationalist surges in W. Europe, where immigrant dysfunction has become so intense, but this Bolsonaro seems to have come out of left field and really shaken things up. How will the Western press react to his seemingly inevitable victory? Trump threw them for a loop, this guy might throw them over the edge. As always, it is a real pleasure to see you here and thanks for stopping by. The German crime rate has fallen by 5% since last year, hitting its lowest rate since 1992. BERLIN (Reuters) - Young male refugees in Germany got the blame on Wednesday for most of a two-year increase in violent crime, adding fuel to the country’s political debate over migrants. Violent crime rose by about 10% in 2015 and 2016, a study showed. It attributed more than 90% of that to young male refugees. 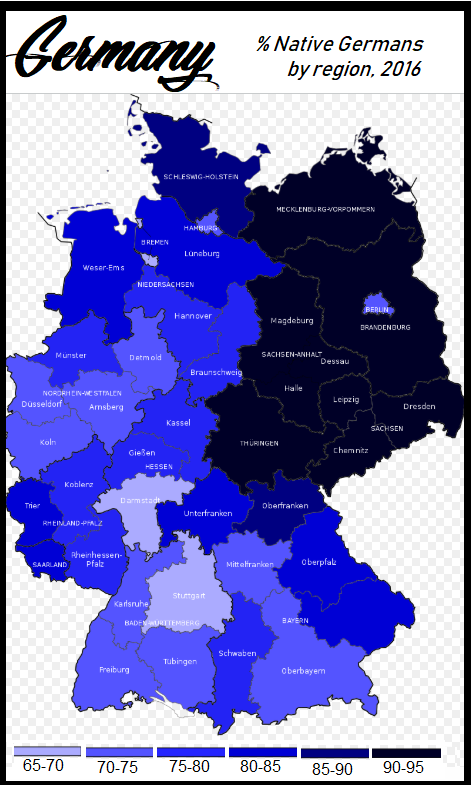 The statistics also listed the number of crimes by non-German nationals, which have also significantly declined, falling by 23% since last year, from 950,000 to just over 700,000. Look carefully at the line's shift from 2016 to 2017. That is what the Independent is trumpeting! 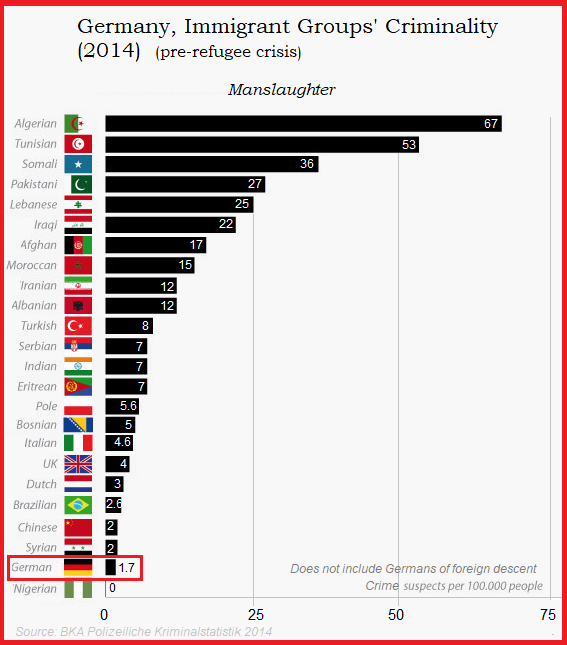 [...] According to Ines Laufer's numbers, from 2016 on, asylum seekers have been criminal suspects at a rate seven times that of Germans. In the case of violent crimes, that rate rises to fifteen times that of Germans. 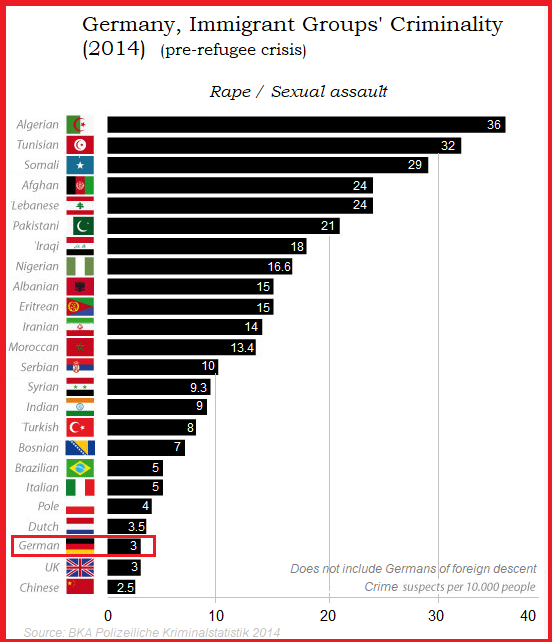 Or you can go directly to the horse's mouth, the German Police Crime Statistics data on foreign crime used in the report (scroll down to Table 62, Excel download): Crime Statistics 2017 - Standard Overview of suspect tables. Google Translate can help you, but basically Column B is each type of crime listed, Column C the total number of suspects, Column D the total German suspects, in Column E the total foreign suspects. The rest breaks down by country of origin. Interesting reading to say the least! So to be charitable, I would qualify your link as a valiant P.R. effort by Merkel's Interior Minister in the face of an overwhelming and obvious migrant crime wave (detailed in the very report those two gentlemen are holding). It's funny you put it this way. I have an anti-authority streak a mile wide, but I'm also commonweal-obsessed to the point that if I see someone drop litter in the street I want to put a gun to their head. I've always said 'it's my Irish side fighting my German side', which may be a just-so story, but that's what it feels like. I'm also commonweal-obsessed to the point that if I see someone drop litter in the street I want to put a gun to their head. As someone who has a concealed-carry license and carries almost everywhere, this is an impulse I can't even entertain. Even drawing the weapon when there is not a threat to life is a forfeit-the-license-and-go-to-jail act called "assault with a deadly weapon". Actually living as an armed citizen is completely different from the ghetto behavior that leftards seem to think we do (just away from video cameras). I was just waxing hyperbolic about the degree to which I'm inflamed by my natural commonweal-impulse, not implying I would ever shoot anyone over it! Heaven forbid. Kudos to all you law-abiding concealed carriers, if only France hadn't completely disarmed itself maybe it wouldn't be suffering grinding daily violence at the hands of its newly imported Diversity. "Kudos to all you law-abiding concealed carriers, if only France hadn't completely disarmed itself maybe it wouldn't be suffering grinding daily violence at the hands of its newly imported Diversity." I find the rapidly rising number of USA concealed weapon licensees fascinating to juxtapose with "the headlines." So many "stories" elicit a question from me: "How did this occur? If it happened in my area the criminal(s) would likely be hospitalized, in the morgue or the story wouldn't even "make the news" because the criminal(s) would have run for their lives. I do wonder what happens when it turns out that the Leftist Narrative under which most Americans are groaning is a paper tiger, that its zealots are toothless and few, and the energy that accumulated while we were all "bottled up" bursts forth...in a nation with enough firearms to equip every man, woman and child...and enough ammunition to outlast the food supply by decades. Do things simply snap into a new structure of order? It seems all but impossible that a 360 degree shooting civil war would occur, much less last more than five minutes. We're still an orderly people at heart. I think. And Mr. Rational, while I fully grasp your comment about the absolute need for self-restraint among people who carry deadly weapons at all times, I think I speak in parallel to M.G. in suggesting that there's an important gulf between the momentary impulse to "set things right" and the recognition of an Age-Old axiom: "There are many people alive today simply because it's against the law to kill them." We are law-abiding to a fault, sometimes. And it pays to NOT be the first person to decide that the rules no longer apply. I always figure that those who seem to almost beg me to destroy them (metaphorically, of course) will eventually do to another what they did to me...only the "other" will not have his screws in as tightly as do I, and the person who was just breathing my air will get his or her comeuppance. I just choose to delegate the job to another. 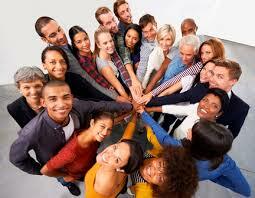 Diversity yields a heavy burden for us to bear, this self-restraint. It seems all but impossible that a 360 degree shooting civil war would occur, much less last more than five minutes. We're the most armed citizenry in the world so it could certainly get ugly, but I don't think that's where we're heading. It seems far more likely that we'll simply come full circle and split up again into smaller chunks. We started as separate colonies that were self-governing, and I suspect that's how we will end up. The 'United States of America', like all empires, will have a beginning and an end. I differ from many, though, in that I believe the split will be more peaceful than bloody. I also suspect the end is in sight in our lifetimes--just a hunch. A minor point: Northern Ireland is not a state, but a province of the UK. It does, in fact. 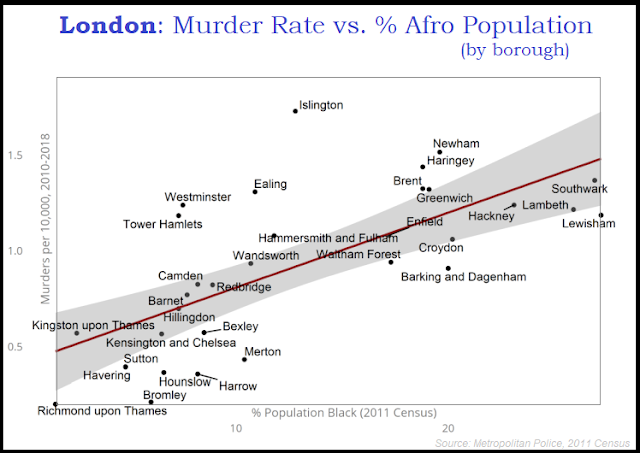 The figures from the document below demonstrate that crime rates for Whites and (South) Asians are comparable, and that Blacks and Mixed race people are disproportionately likely to engage in crime. You can also use the raw statistics from the below page, as I have done, to get an idea of crime rates by race. For instance, I did so for violent crime, adjusting for the different age distributions in each race (which can also be determined from the Ethnicity Facts and Figures website run by the UK Government). 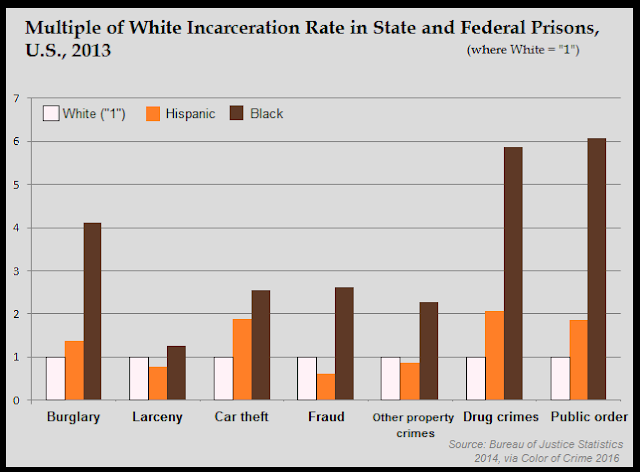 Blacks had the highest rate of violent crime, followed by Mixed race, followed by Whites, followed by South Asians, followed by Other (~50% of whom are Chinese). 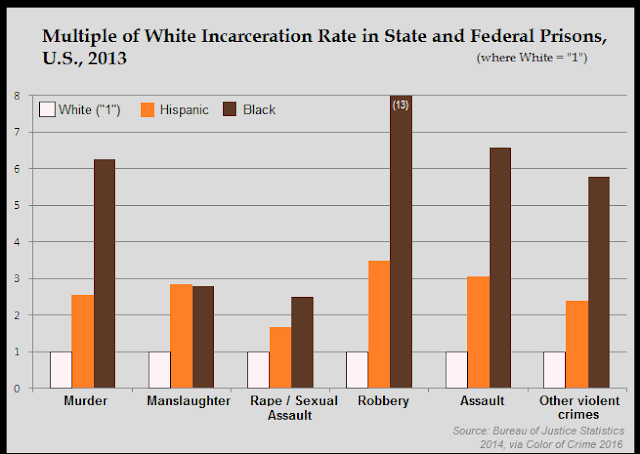 Specifically, Blacks are 4.2 times more likely to engage in violent crime than the Other (including Chinese) group; 2.7 times more likely than South Asians; 2.6 times more likely than Whites; and 1.45 times more likely than Mixed race. 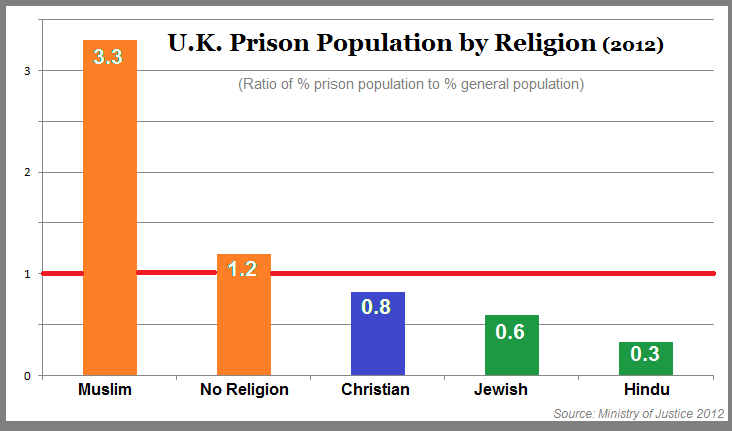 It should be noted that the low crime rates for South Asians are likely driven by the very low crime rates among Indians (as MG's graph showing very low imprisonment rates among Hindus in the UK but high imprisonment of UK Muslims). This is also suggested by the fact that Indians are the highest paid ethnic group in the UK; are second only to Chinese people in their academic achievement; and are disproportionately likely to work in professional and managerial occupations. By contrast, Pakistanis (in particular) but also Bangladeshis do poorly in the education system, and tend to have low-paid and low-skilled jobs. Japan is 98.5% Japanese, South Korea is 96% Korean, Hungary is 93.5% Hungarian, Poland is 98% Polish. Israel is 74.5% Jewish, making it somewhat more diverse than Germany (79% German, 90% White) and that's counting 'Jewish' as homogeneous despite the category including both Russians and Ethiopians who are genetically unrelated to the main Ashkenazi or Mizrahi Jewish groups (which are themselves pretty dissimilar). It doesn't disprove your point because Israel is highly dysfunctional in ways that are obviously related to its diversity, but it never does any harm to be accurate. Israel can most accurately described as a country that decided it 'has enough diversity' to borrow a meme Steve Sailer was fond of a few years back. In the real world, Bolsonaro is the the most obvious possible example of politician who owes his rise to Jewish money and backing.